*The first thing I want to share is something that really touches my heart. Alida, from I Make Stuff, wrote me about a current service project she has begun called Write it Out. “I am about to share something deeply personal with you my crafty friends. I am an Iraq War widow. My first husband, Sgt. Daniel Woodcock, was killed in Iraq March 11, 2007. The reason I am sharing this with you is that the 3 year anniversary of his death is steadily approaching and I have been feeling this enormous sense that I need to do something to commemorate it. Then last month a good friend’s husband was killed in Afghanistan and it became clear. I need to help comfort these women. The reason this blog is called “I Make Stuff” is that making stuff is my reaction to the world around me. When my friends are sick, having a baby, or just having a hard time I Make Stuff. When I am feeling the grief particularly strongly, I Make Stuff. It makes me feel as if I have some control. This year instead of spending the day with my heart in the fetal position, I want to make stuff. Not only do I want to make stuff but I want to SEND stuff. 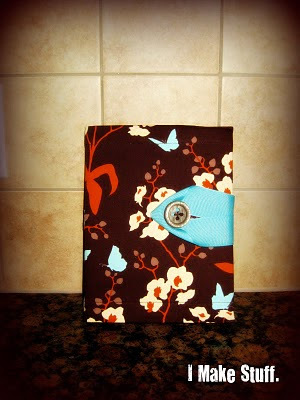 I am starting what I’d like to call the Write It Out Project, handmade journals for grieving military widows. I read somewhere (and now I CANNOT find it!) that people who journal through times of grief are less likely to need depression medications as people who don’t. I know that I found it extremely helpful. Here is the link to the tutorial and please, if you are able to help out, please do. I know I’m going to make a few. If you are sewing challenged, she asks that you can help by spreading the word. 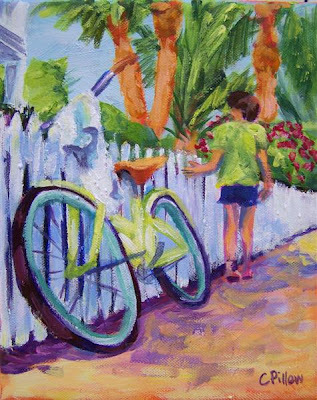 *I want to give some love to my sister Christy who has ventured into the art world recently with painting. She has a blog, Front Porch Studio, where she shows off her amazing paintings that are for sale! A beautiful bright, happy, cheerful sweetheart pincushion by Samelia’s mom on Flickr. 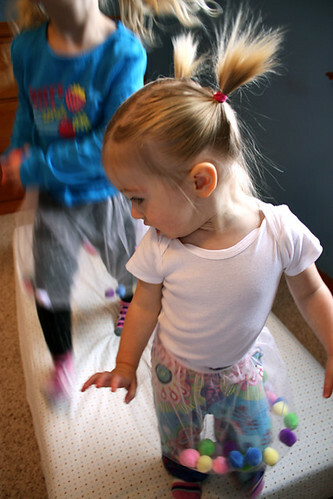 Doesn’t this picture just make you want to have a pom-pom skirt and dance around too? It’s by Anna from Noodlehead. So precious! 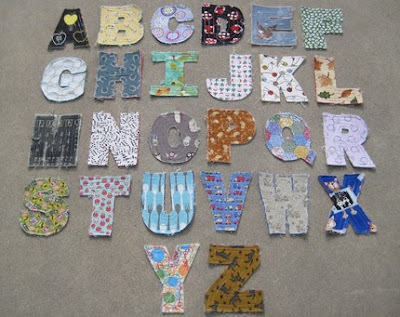 And look at the cool way this crafty lady hung up her rag quilt letters? I Also have a new button for grabs if you have been in the spotlight on my blog (meaning your project was shared, I linked back to you, etc). Awesome post! I am headed over to take a look at the tutorial for the journal for military wifes! Hi Jess, another Jessica in Jax here. I love your blog, I subscribe on my reader. Just wanted to make sure you and your readers know about the Finders Keepers Consignment sale going down this week. They have a website and a facebook page. You will find major deals on everything KIDDO! I don’t know if you’re supposed to post websites on other people’s blogs, but you can google them or search them on FB. I got a ton of stuff last year for pennies! I love Your Blog -You are so inspiring – thank you.